It’s good to know that firefighters are there to protect our family when we need them to, even our non-human family. This week, firefighters in Oakland, CA responded to a working fire. With no visibility and high heat, the firefighters went to work to put out the flames while conducting a search of the area. 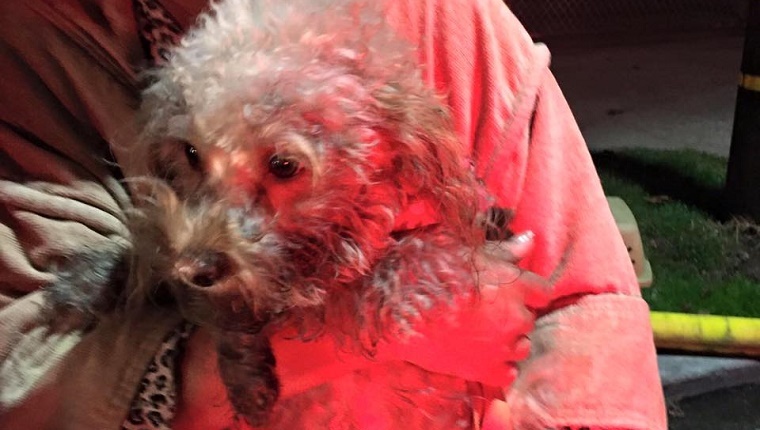 They found a small dog crate with an unconscious dog inside. 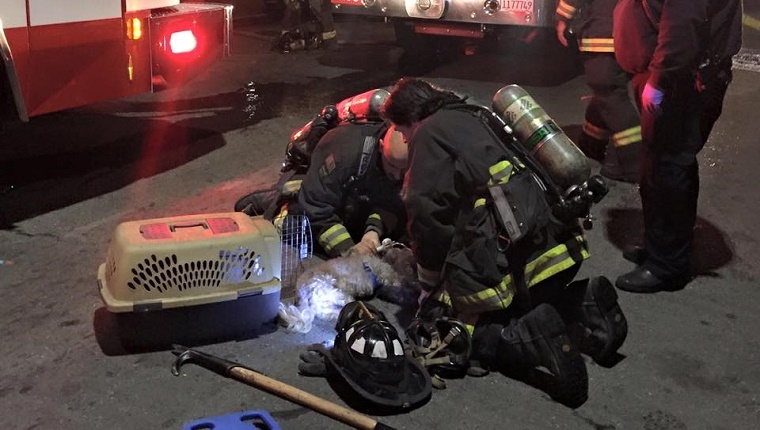 They hauled the crate out of the blaze and immediately provided care to the unresponsive pup. 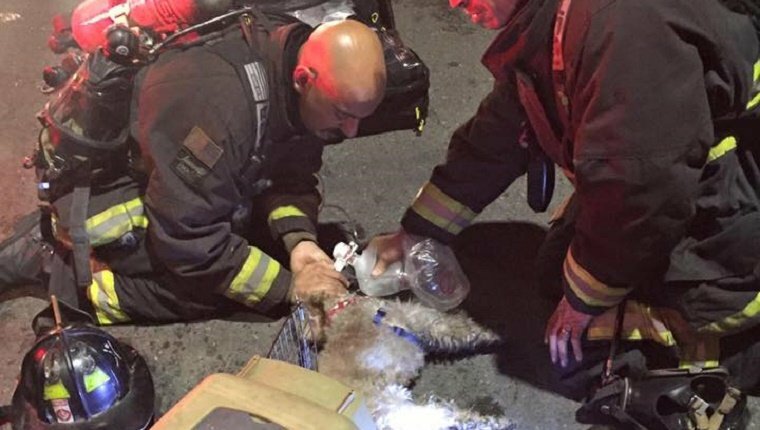 After some rescue breathing, the Ambulance Supervisor arrived with a snout-shaped breathing mask to slip over the dog’s muzzle and give oxygen. With the mask doing its job and workers giving lots of pets and care, the dog regained consciousness. This story has a happy ending. The dog made a full recovery and is doing just fine. I’m glad to know that these snout masks are being used to keep our fur families safe. A big thanks to all the firefighters and ambulance workers who were on the scene and made sure to value all lives in danger. Share this story on social media and let these the Oakland Firefighters Local 55 know how much you appreciate them!